As a healthcare professional, you have often heard the adage that says, “If you didn’t document something, you didn’t do it.” It is no longer true that you can be exempt from malpractice or negligence claims because you were following orders. As a professional in the healthcare industry, you are expected to be familiar with many aspects of care. If you are a nurse, you are responsible for assessing, planning, implementing, and evaluating nursing care. If you are a social worker, you are responsible for assessing, planning, implementing, and evaluating psychosocial care. What you document can and does reflect that care planning and resulting outcomes if the documentation is factual, complete, timely, and detailed. 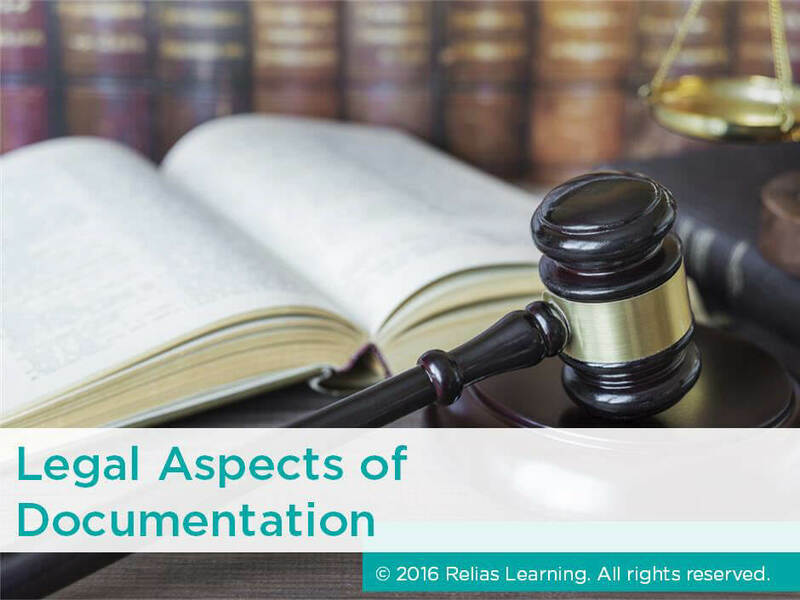 In this course, you will learn about concepts and rules regarding documentation in the medical record as it relates to negligence, malpractice, and intentional torts. Describe two elements of proof in malpractice litigation. Differentiate between compensatory and punitive damages. Explain four intentional torts that a healthcare professional may be held liable for. Describe four techniques you should use when documenting care to avoid legal issues. Define malpractice and negligence as they relate to nursing and social work practice. Instructor: Lynn J. Grams, R.N., B.A., M.Ed. Lynn Grams is a registered nurse in the state of Florida. She has an advanced degree in Adult Education with extensive experience in Nursing Education. At the Education Departments in Acute Care Hospital setting, she has been both instructor and department director since her arrival in Florida in 1974. Her past experience includes nursing supervision in acute care hospital setting as well. Prior to relocating to Florida she was employed as a staff nurse in ICU and Surgical units, Head Nurse of a Medical Surgical Unit, and two years as an instructor in a 3 year diploma nursing school. Disclosure: Lynn J. Grams, R.N., B.A., M.Ed. has declared that no conflict of interest, Relevant Financial Relationship or Relevant Non-Financial Relationship exists. The target audience for this course is: entry level Nurses; entry level Professional Counselors; entry level Respiratory Therapists; entry level Social Workers; in the following settings: Post-Acute Care.